By popular request, I've linked a few pictures of the console cabinet my dad made for my upcoming birthday. As a preface, the pictures are grainy from my phone. Additionally, I still have to get some more T-molding--you'll see on the main pieces of plywood there's a small gap in the middle. The shelves already have had that molding hammered gently into place with a mallet. The plywood was routed out with a bit to allow the T-molding to fit into place and give it that arcade cabinet feel. The gap above the TV is intentional, I'll most likely mount a pair of high quality speakers in the top corners above it. I'm intentionally leaving the back open so that heat can escape and so that wires can be easily passed through. I can always change my mind and fill it in. The top has space for a future Marquee, so if any of you have inspirational ideas, maybe I'll take them into account! I'd like maybe "Blu's Arcade" in SEGA lettering and maybe a Sonic and Tails Sprite! Who knows! The cabinet itself was made out of a high-quality plywood, stained with a dark ebony finish, and then polyurethane'd. The finish is dark enough so that the black T-molding blends in pretty well to the plywood cabinets. There's castor wheels mounted on the bottom so that it moves easily, rather than lugging it around and dragging it. Side view that gives the cabinet its arcade cabinet style. Another angle that gives you a little perspective on what's going in there. 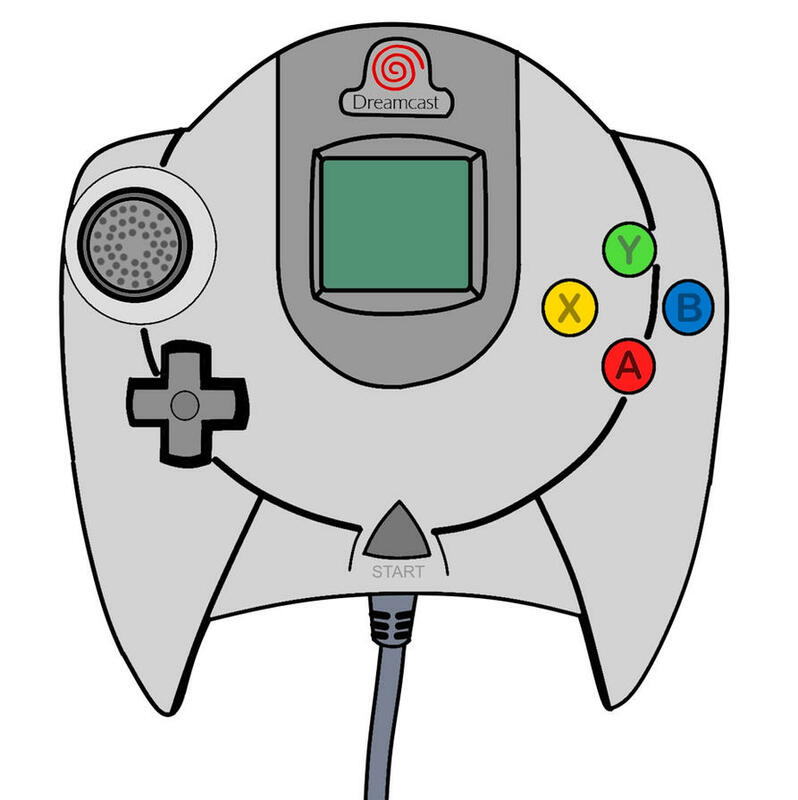 I will probably keep my Dreamcast in the living room -- I have the VGA box and a decent TV for resolution. I will add the Wii next to the Gamecube because I have a good amount of classics from SNES on the Virtual Console, because I never had a SNES. I'll post pics when I'm settled from our move and have the chance to unpack and set it all up! Last edited by Blu on Thu Apr 12, 2012 4:25 pm, edited 2 times in total. That custom cab is sweet! Good luck with your move, My gf and I are moving ourselves at the end of the month. Its quite exciting! That looks very nice wish i had one like that. I have thought about using Window Tint ... and I don't like that idea, honestly. I'd prefer something that legitimately blocks UV-A and UV-B and doesn't just limit light that comes in. First off, I'm digging the cabinet. My suggestion would be to use a bookshelf for your games since your cabinet takes care of the consoles. As for your controllers, think about investing in one of these. This is how I have my controllers stored. I have their fabric drawers in the bottom six cubes where I keep my controllers organized by generation. I know that it's not the cheapest solution in the world, but it's worked very well for me, and I think it would give you a very organized way to store your controllers while still looking nice. Elkin, great idea on the fabric drawers and cube. I hadn't thought of something like that and it's practical and does look nice. Thanks! That does look pretty cool you could build your own set of custom drawer holders. Oh hey, I updated this thread with some photos. I hope you enjoy! Check out page one! Last edited by Blu on Mon Nov 19, 2012 1:58 pm, edited 1 time in total. I am in love, that TV stand is amazing. What's your current gen set-up like?